A family of rabbits soon supplies the answer in this funny story! Hop along to Fibonacci's Field and follow Lonely and Chalk Rabbit through a year as they try to cope with their fast expanding brood and handle a different seasonal challenge each month, from the cold of February to the wet of April and the heat of July. 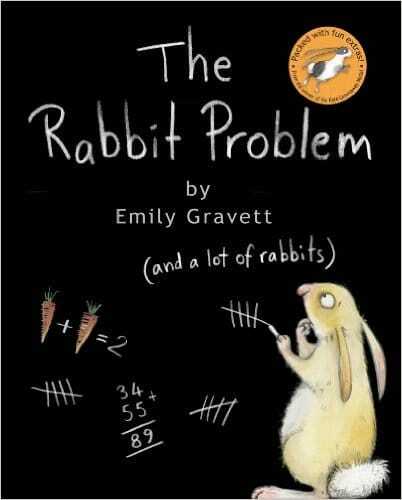 The Rabbit Problem by Emily Gravett is an extraordinary picture book, packed with gorgeous details and novelty elements including a baby rabbit record book, a carrot recipe book and a surprise pop-up ending.